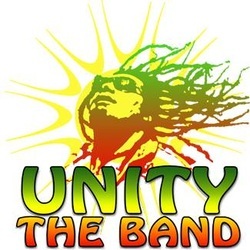 Unity…the Band is an award-winning original roots reggae group based in Appleton, WI. Their intense touring schedule of varied venues around the Midwest has honed an interactive outdoor stage show with positive party vibes and the knack for drawing club crowds into the irie groove. They treat fans to old roots Reggae favs, along with original music blending influences of rock, roots, blues and reggae into their own unique sound. Fronted with Fiji Born island-smooth energetic confidence by Kai “Pita” Katobalavu on lead vocals and rhythm guitar, the band’s talents include the Nashville-experience flavored bass lines of Jason “Red” Brown, Ryan Peerenboom laid-back guitar riffs and vocals, the cool intensity of Jeremy “Chunk” Schroetter’s keyboards ,congo's and voice, driven by the steady ease of Kelvin Ayres behind the drum set.